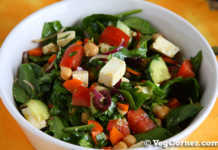 Mexican Couscous Salad: It’s been ages since I made this Moroccan couscous. Actually, it’s been a long time since I even bought couscous, don’t know why. I was looking for lunch ideas for the kids and came across a few couscous salad recipes, including a Mexican couscous salad which looked very appetizing; so got a pack to try it because we were getting bored of the same lunch recipes again and again. 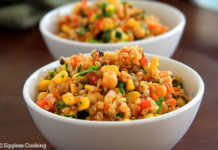 The Mexican couscous salad recipes which I came across didn’t involve much cooking other than boiling water to cook the couscous. We just had to chop a variety of colorful bell peppers and mix it with the cooked couscous along with corn kernels, black beans and cheese if using and seasoning it with taco seasoning or a variety of spices. Personally, at our home, we feel we are not able to digest raw peppers well, especially during winter. It induces acid reflux. So I wanted to saute it at least lightly. Then I thought if sauteing the peppers why not rest of the vegetables too. That’s how I proceeded with the whole dish and it was so tasty. You can decide to do make this Mexican couscous either way. 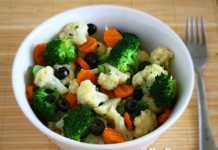 I would prefer adding raw vegetables during summer and cooked during fall/winter. The choice is up to you. Regardless of the method you choose to prepare this dish, make it a day ahead for the flavors to set in. I made it the previous night and packed it for lunch the next day and it was delicious. Something similar to this Mexican couscous is the brown rice burrito bowl, made with instant brown rice. Kids lunch doesn’t have to be just sandwiches and wraps. Make this vibrant, colorful Mexican couscous salad and introduce them to different flavors and vegetables. In a medium-size saucepan pour 1 and 1/2 cups of water and let it boil. Add some salt and oil. Once you see the water boiling, switch off the stove, remove the pan from the stove and stir in the couscous; stir it with a fork and cover the pan with a lid. After 10-15 minutes empty the cooked couscous on a large plate; spread and fluff it; this will help to avoid getting sticky/mushy couscous. Meanwhile, in a large non-stick pan, add the oil and saute the garlic and onions, adding a pinch of salt. Adding salt enables the onions to cook quicker. Add rest of the vegetables, black beans, and the seasonings and salt as per taste. Sprinkle some water and close the pan with a lid. Let it cook for a couple of minutes. Now add 2 cups of couscous and mix well. Taste and check for seasoning. Drizzle few drops of lemon juice (optional, I didn’t do it), cilantro and mix it once again. 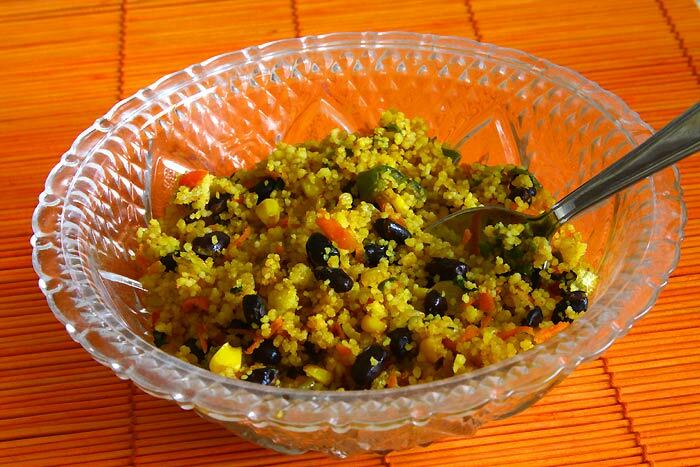 This Mexican couscous salad had a nice chewy texture along with the cooked vegetables and black beans. The cumin, coriander and chili powder was a perfect way to season it. I was not aware how much-cooked couscous will a cup of dry couscous yield. So boiled water for 1.5 cups of couscous and when it cooked up saw that it was a lot. It measured to 4 cups of cooked couscous. If I prepare so much all at once, we would have to eat it for at least 2-3 days and everyone will get bored. I didn’t want to try freezing because my freezer was already full and also didn’t know how well it would freeze. 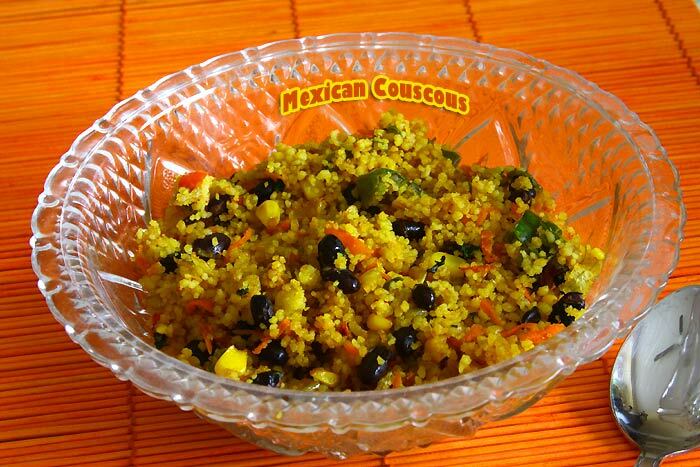 So used just 2 cups of cooked couscous for this Mexican couscous recipe. I refrigerated the other 2 cups and used to make a mushroom-spinach couscous recipe which was another hit with my family. Recipe to follow soon. I usually have cumin, coriander powders at home. All these ground spices are a staple. But if you don’t have it, or don’t prefer by individual spices like this buy taco seasoning or even garam masala powder, curry powder will work. Before storing the cooked Mexican couscous in the fridge, I drizzled a bit of extra-virgin olive oil and mixed it well. I did this because I thought the couscous won’t get all dried up for the next day. I guess it helped. The kids said it was nice and soft when they had it for lunch the following day.